How Government Supports Small Business | 8x8, Inc.
Running a new startup business or small business takes a ton of work. Before you can even open your doors there's permitting, staffing, and more, all while ensuring you follow all state and federal regulations. But, far from preventing business success, the government has multiple methods of supporting new businesses. Learn what government support for startup businesses looks like, along with how a cloud-based unified communication tool can help to streamline communication. Some business owners think that the government stands in the way of business. However, if you do your research you'll find a number of programs, resources, and even jobs that'll actively support the growth of your business. Most local governments will offer programs and loans that actively support small business owners. For example, you can find low-interest loans that are geared towards helping new and small business owners make building upgrades, or energy efficiency enhancements. Most cities and towns will have a local Small Business Administration office. Here you'll find a variety of programs, guidance, and support that'll help you navigate the often complex waters of starting a new business. Exploring the offerings of your local SBA is a great place to start. Depending on where you live you'll find plenty of local resources that are oriented towards the business you're running or the type of business you want to start. There are also a number of federal initiatives that programs that were started to specifically help small business owners. For example, you'll find the Reducing Barriers to Entrepreneurship forum that helps to make entrepreneurship accessible to anyone and share ideas about recent program developments. A lot of businesses are based upon having the government as a client. Most government agencies will contract out work to different contractors. If you're a startup business it might seem intimidating to pitch for these type of contracts, but you do have the advantage of having lower overhead as a small startup, so you can generally send in a bid with a much lower overall cost. Whether you work for a government agency that's actively working to support small business owners, like the SBA. Or, you're looking for government assistance in establishing or growing your business, having the proper communication tools is going to be incredibly important. Most government agencies will opt for a cloud-based unified communication solution. This allows you to easily manage every aspect of your communication from a centralized dashboard. Plus, with built-in compliance standards, and security, any information that's shared will be entirely private. Small business owners may also find value in upgrading their internal communication systems to a cloud-based solution. This will not only enable you to streamline productivity between your employees and clients. But, it will offer you a high level of security and privacy that's pretty much a requirement if you're going to be bidding on government jobs. 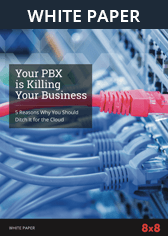 Plus, a cloud communication system can cut your communication costs across the board. You'll want the unified communication solution you choose to support the communication methods you use the most often. For example, you might primarily use the telephone and email. While others might do most of their work-related communication via team messaging. Choose a solution that integrates your preferred communication methods together, and offers you the ability to scale up service offerings in the future. Compliance and information security are of paramount importance. Non-compliance can result in huge fines that can be very detrimental to your organization. Chances are some of your communication will fall under HIPAA and FISMA, so you'll want to find a software solution that's already compliant with these regulations. This will make your life much easier, as compliance is virtually guaranteed. The government has multiple methods of supporting new startups and small businesses. This is primarily accomplished through small business loans, special programs, grants, and helpful resources. If you're a government agency who's assisting small businesses, or you run a business yourself it can be helpful to invest in a cloud communication solution to help streamline communication across your organization.